We’re just two games into the new PRO14 season and a number of uncapped players are already starting to put their hands up for potential selection for the upcoming November internationals. One of those men is new Ulster signing Will Addison who was signed from Sale Sharks over the summer. 26-year-old Addision is primarily a centre, but has been deployed at fullback this season, replacing Charles Piutau who left for Pat Lam’s Bristol. And he’s already racking up some pretty impressive stats. Addison tops the carries chart by some distance, with a simply staggering 43 carries in just two PRO14 games – both of which Ulster won (Scarlets and Edinburgh). 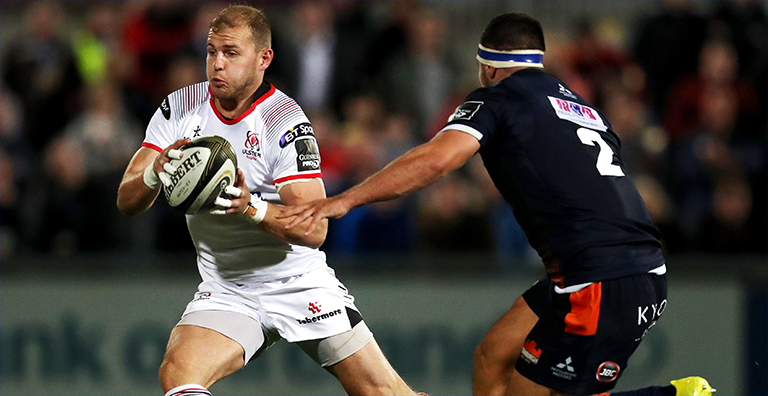 28 – @WillAddisonB3 made 28 carries for @UlsterRugby at the weekend, no player has made more in a @PRO14Official match since Opta have recorded this data (2010/11). Impact. His 28 carries against Edinburgh over the weekend are a new record – no player has made more in a PRO14 match since Opta started recorded that data back in 2010/11. He’s also made plenty of ground with those carries – 181 metres, the fourth best in the league. He’s also second in the league when it comes to offloads (5), just two behind teammate Marcell Coetzee who is on seven. Addison is also one of the top performers in the league in terms of defenders beaten with 7 in two games. 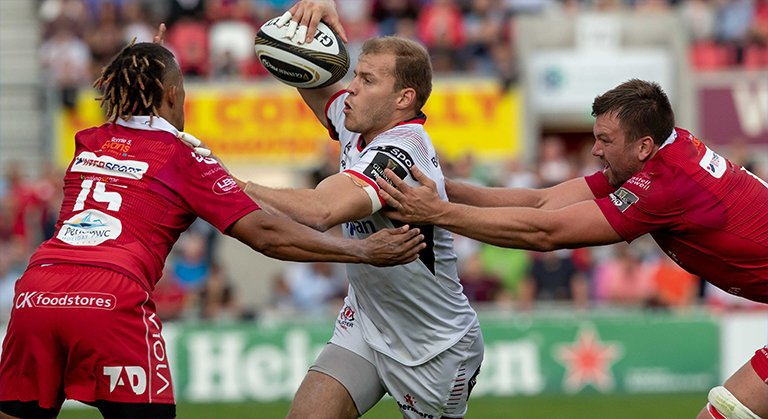 An incredible start for the fullback, who’s also had a hand in a number of Ulster’s scores. Joe Schmidt brought him in to Ireland’s camp during their tour of Australia over the summer, and if he keeps up this form – chances are he’ll get an official call up come November.